From data from the Missing Migrants Project to show dead and missing migrants across the globe from 6 January 2014 to September 2018. The Central Mediterranean remains by far the deadliest route for asylum seekers. It has been three years since the body of toddler Alan Kurdi washed up on shore in Turkey, becoming a critical moment for global concern over the tides of transnational asylum seekers from the Middle East and Africa to Europe. Since then, many European countries have shifted their policies by capping refugee intakes or closing sea routes, but there remains an enormous human flow, albeit in reduced numbers. 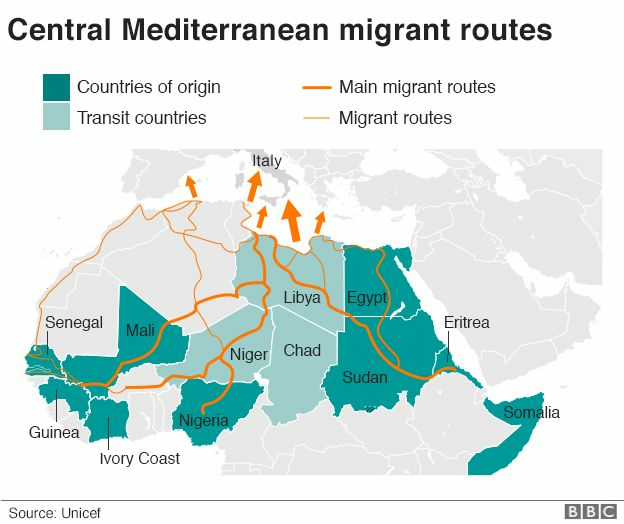 According to the Missing Migrants Project, which counts deaths of migrants, the Central Mediterranean remains by far the deadliest route, as asylum seekers try to make their way from Turkey, Africa and the Middle East over to Europe. SOS Mediterranee calls for citizen mobilization to "save the Aquarius". In the European summer of 2015, a seemingly endless tide of asylum seekers surged towards Europe. Hailing from Africa, the Middle East, even Asia, it was the people fleeing the conflict in Syria that garnered the most attention; but it was hard to ignore the sheer numbers. Their journeys were often via treacherous sea routes on overcrowded vessels. Many capsized, and the people in them drowned. Three years on and numbers have reduced, but numerous asylum seekers are still willing to try to get to the West. The Missing Migrants Project has been counting the numbers of people who have died or gone missing in the process of migrating to another country. And the numbers make for often grim reading. In May 2016, 1379 people died in the process of migrating, the highest monthly figure. The number fell dramatically the following month, to 121, but rose again that November to 940. Deaths mostly occurred in the Mediterranean region; in 2016, 5143 people died there. In general, numbers of deaths are highest in the spring and summer months, and lowest in the colder periods of the year. This year, numbers of deaths have dropped across the board. June saw the highest monthly figure of around 800, which dropped to 128 in August. 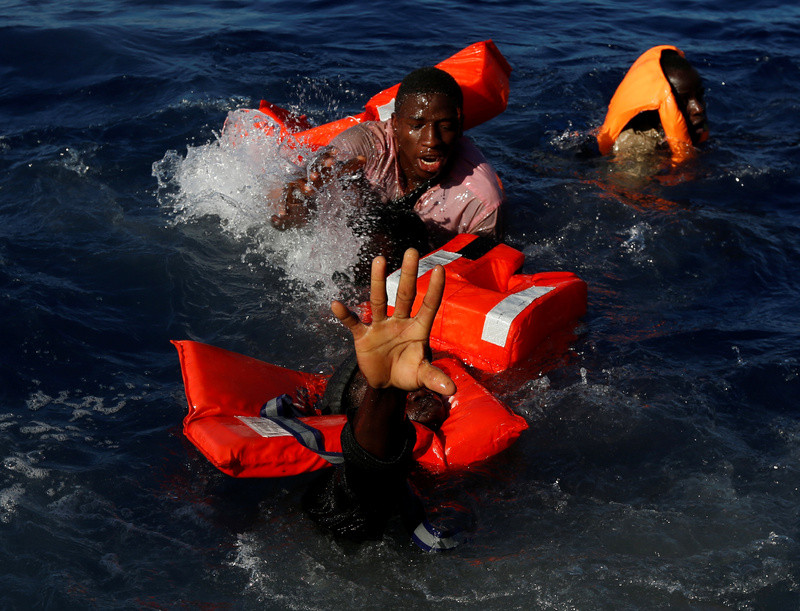 Deaths mostly occurred in the Mediterranean region. In 2016, 5143 people died there, however that number dropped to 3139 the following year. According to figures up till now, it is likely that the overall number will drop further by the end of 2018. The region with the next greatest number of deaths from 2015 onwards was Africa, however it appears that this year it will be overtaken by the Americas. The numbers reveal the Mediterranean remains the deadliest region for migrants to attempt to traverse. Records from this year show that, by far, presumed drowning and confirmed drowning are the number one and two causes of all migrant deaths, at 886 and 757 respectively. 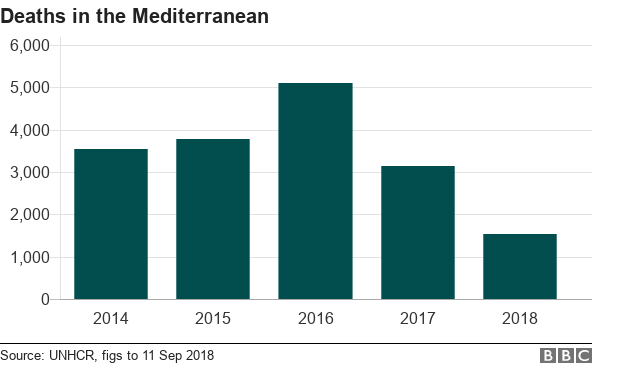 The months of April and May in 2015 and 2016, at the height of the migrant crisis, were not the preferred months to try to make the sea crossing - however generally resulted in the most deaths. In April 2015 there were just under 13,000 arrivals in Europe, however 1222 people were counted to have lost their lives. In May 2016, there were almost 26,000 arrivals in Europe, but 1178 deaths. This year in June, 12,802 people arrived, but 629 died. These indicate little relationship between the numbers of people trying to make the crossing, and the numbers of deaths. For example, in October 2014, a staggering 220,000 people arrived in Europe, however just 126 people died en route. On September 2, 2015, the lifeless body of a Syrian toddler Alan Kurdi washed up on a Turkish beach, still wearing a red t-shirt and with sneakers still on his feet. Local photographer Nilüfar Demir was there, and photographed the body. Her photo quickly went viral, and the boy became symbolic of all the children migrants who had died en route, a reminder of the vast human cost of the Syrian refugee crisis. It immediately sparked widespread sympathy and compassion, with public concern for the plight of migrants translating into surges in donations to charities helping refugees. However, three years on, and conditions suffered by children seeking refuge has improved little, with reports of severely overcrowded refugee camps in the Mediterranean, suicide attempts, and unaccompanied children on the streets of Calais and Paris. How are the figures tallied? The Missing Migrant Project gathers information from many sources, including media reports, NGOs, official reports, and surveys. It says that it has counted 60,000 migrant deaths over the past two decades.